Alex Herrera earned the chance to play one last college game, the 2015 National Association of Basketball Coaches Reese’s Division II College All-Star Game. 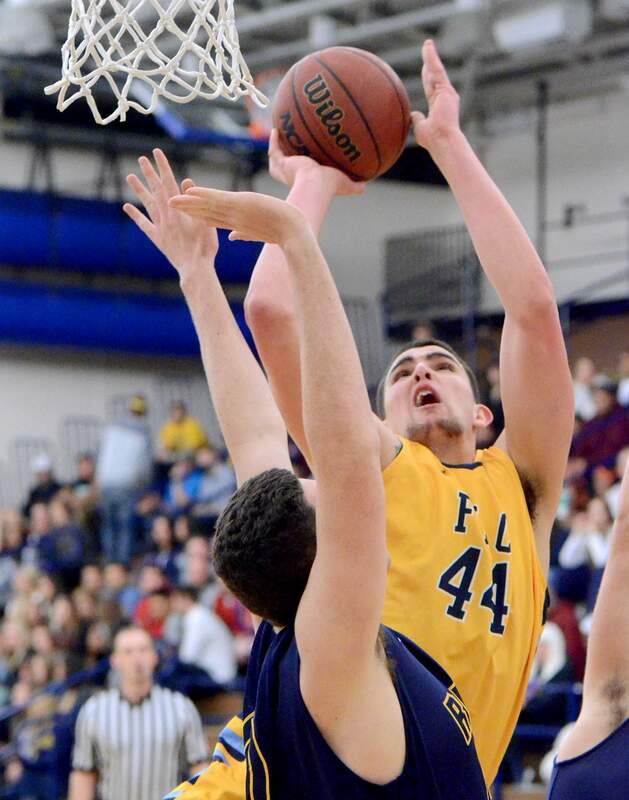 Alex Herrera will get one more chance to represent the Fort Lewis College Skyhawks. The 6-foot-10 senior center from Ignacio was selected to participate in the 2015 National Association of Basketball Coaches Reese’s Division II College All-Star Game. He will represent the West team when the game is played at 5 p.m. March 27 at the Ford Center in Evansville, Indiana. “I’m definitely super excited about this. I’ve been waiting to hear if I made it, and it should be pretty fun,” Herrera said. Herrera, who was a second-team All-American his junior season, will be among 20 of the best seniors in all of Division II basketball. He will look forward to showcasing his abilities on a national stage after his teams failed to advance out of the conference tournament and reach the NCAA Tournament during his final two seasons at FLC. The game will be played a day between the Final Four and National Championship games. The team will be introduced at halftime of one of the Final Four games on Friday, and Herrera said he is looking forward to watching the games and partaking in the festivities. “It’s going to be a real experience. I want to take it all in,” he said. Two Rocky Mountain Athletic Conference players will be represented, as Metro State’s Mith McCarron also received a selection. Despite Metro State’s elite reputation, McCarron is the Roadrunners’ first All-Star. Making the game even more special is an RMAC coach, Regis’ Lonnie Porter, will be the West’s head coach. Porter retired at the end of the season after 38 years at Regis. Herrera said he is honored to represent the RMAC along with McCarron and Porter. Herrera averaged a double-double with 23.7 points and 11.6 rebounds per game this season, leading the Skyhawks to a 20-win season. Along with his 22 double-doubles in 29 games, Herrera led Division II in blocked shots with 94 (3.2 per game). He set the school’s single-season scoring record with 687 points, free throws made with 224, free throws attempted with 333 and rebounds with 335. The 2010 Ignacio High School graduate won 19 Rocky Mountain Athletic Conference Player of the Week awards in his career, including 10 during his senior season. He was named the RMAC Defensive Player of the Week six times and the Player of the Week four times, sweeping both awards three separate times. He also won his third consecutive RMAC Defensive Player of the Year award and first-team all-conference selection. Herrera also recently was named to the Daktronics All-South Central Region first team for the third year in a row.